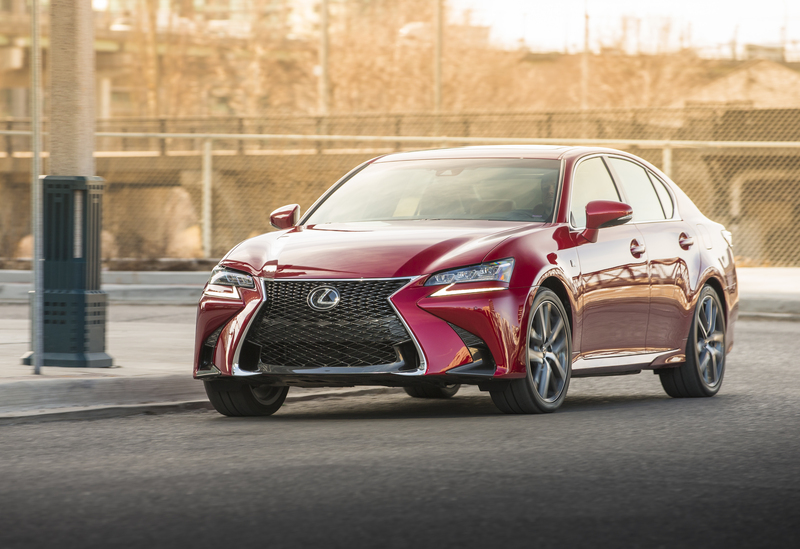 TORONTO, ONTARIO, September 26, 2017 – High-spirited performance meets high style, with a contemporary feel in the 2018 Lexus GS series. 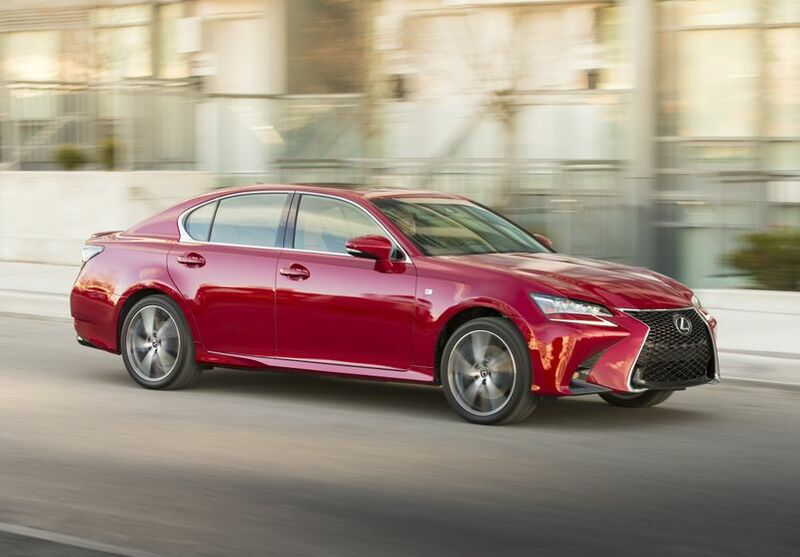 Whether you choose the conventionally-fuelled, all-wheel-drive GS 350 or the hybrid-powered, rear-wheel-drive GS 450h, the result is an exhilarating grand touring automobile as only Lexus can produce. 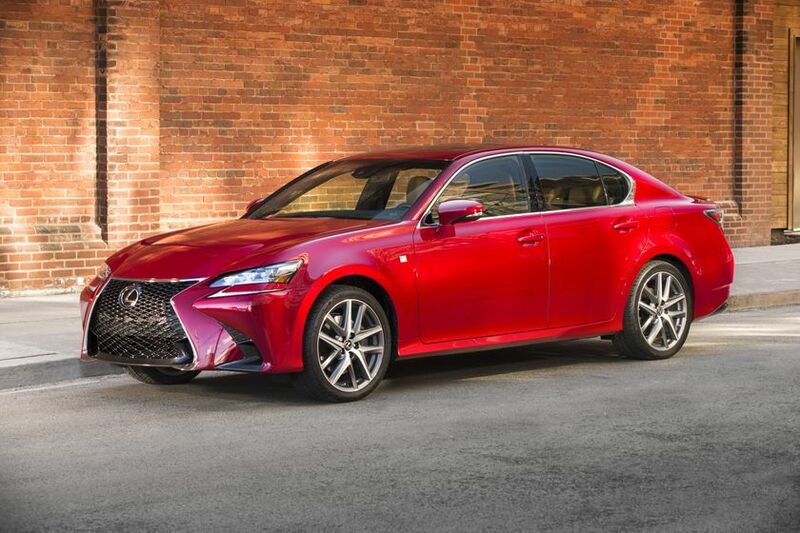 Curbside, the 2018 GS series makes a strong statement about intent: it flexes some muscle with sculpted lines and a low centre of gravity. 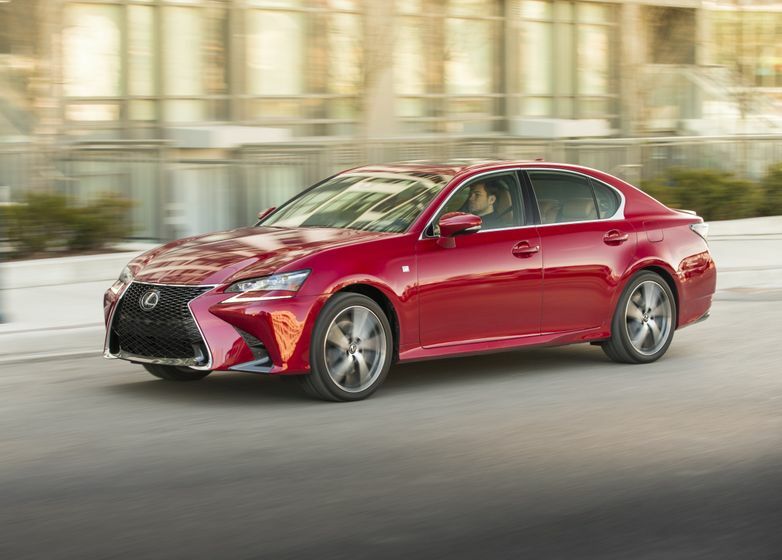 The bold signature Lexus spindle grille is finished in satin chrome and paired with LED low beam and LED L-shaped arrowhead daytime running lights. 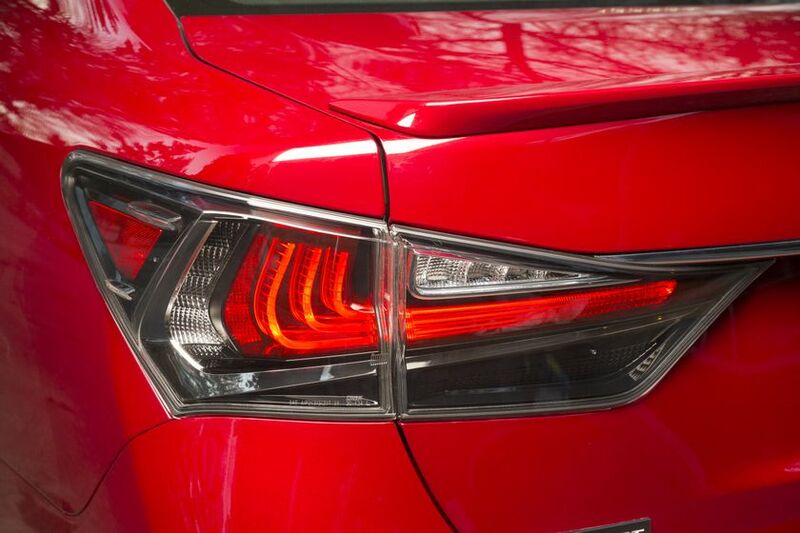 The L-shaped LED tail lamps create an eye-catching rear design. The electrochromatic exterior mirrors are power adjustable, power folding and heated, and feature integrated signal lamps and puddle lamps. Up top, a power moon roof caps the cabin. 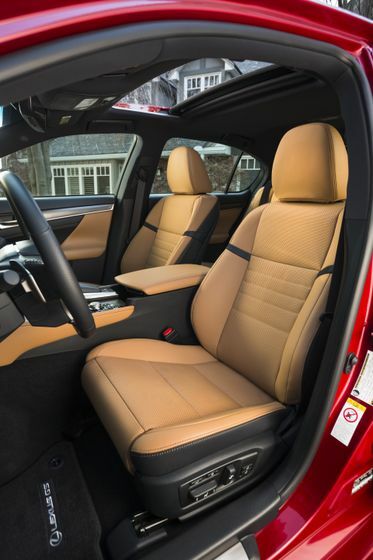 Inside, guests will enjoy a comfortable cabin with no sacrifices and ample room for up to five adults, including a generous rear passenger area. 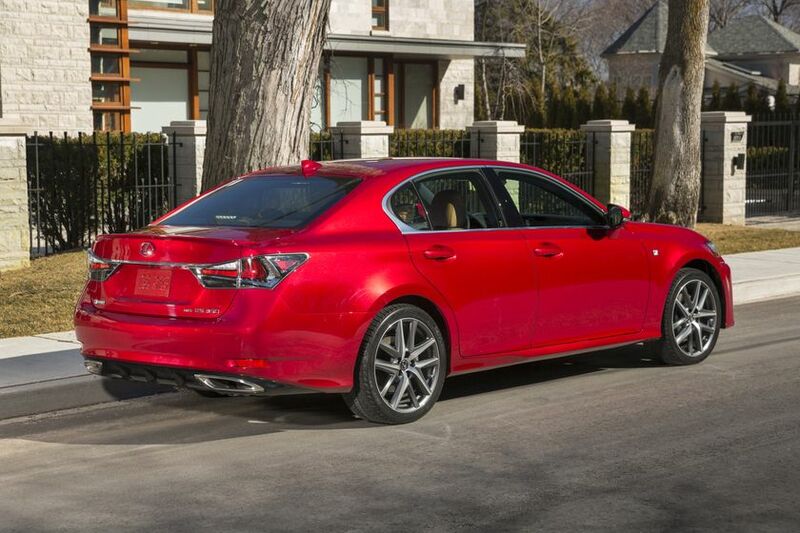 As a grand touring sedan, the GS series offers guests sophisticated comfort. 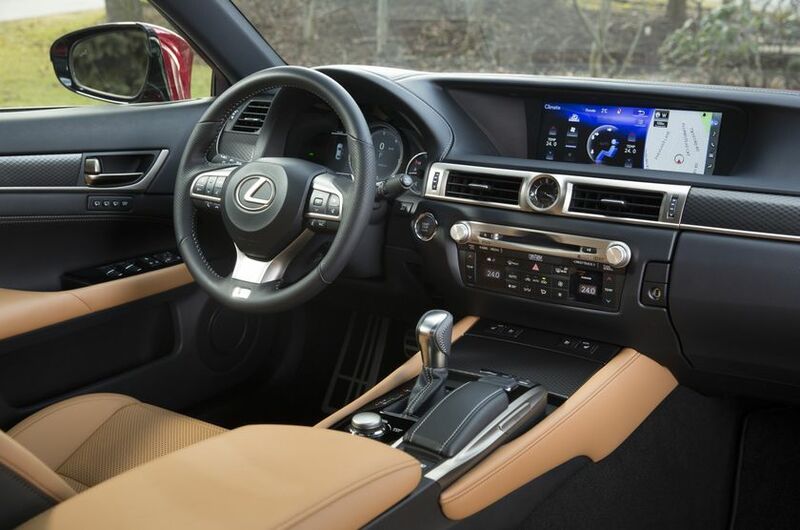 Ambient interior lighting complements the wood trim, while hand-crafted contrast stitching, the signature Lexus analogue clock with LED illumination, and other touches convey subtle hints of luxury at every glance and caress. Under the hood, the 2018 GS series comes with a choice of powertrains. 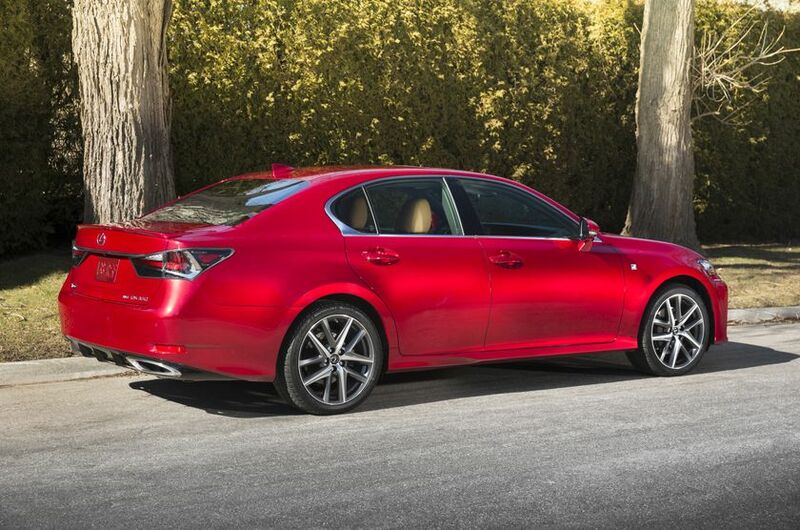 A stirring experience awaits guests in the GS 350 AWD, thanks to its 3.5L, 311 peak horsepower V6. This engine combines direct fuel injection and additional port fuel injectors, resulting in crisp responsiveness and impressive power. 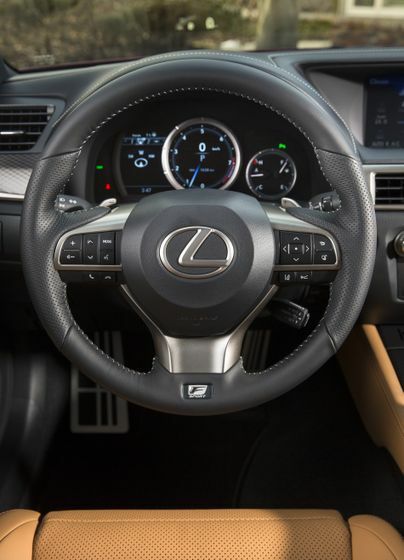 Throw in the six-speed sequential shift with steering wheel-mounted paddle shifters and the GS 350 AWD is a vehicle touting equal parts luxury and high performance. 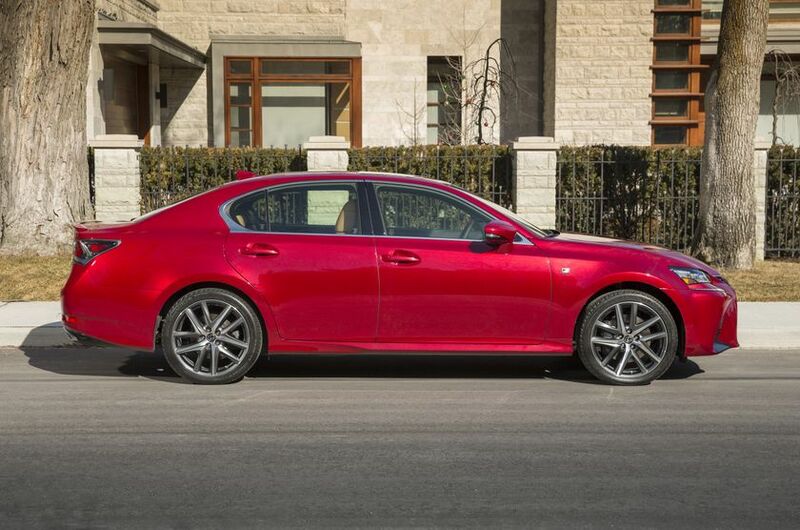 The advanced all-wheel-drive system includes front, rear and centre differentials to distribute 70 percent of the drive power to the rear wheels and 30 percent to the front. When wheel slippage occurs in less than ideal road conditions, the system employs traction control to achieve improved traction by automatically transferring power, with up to 50 percent being transferred to the front wheels. 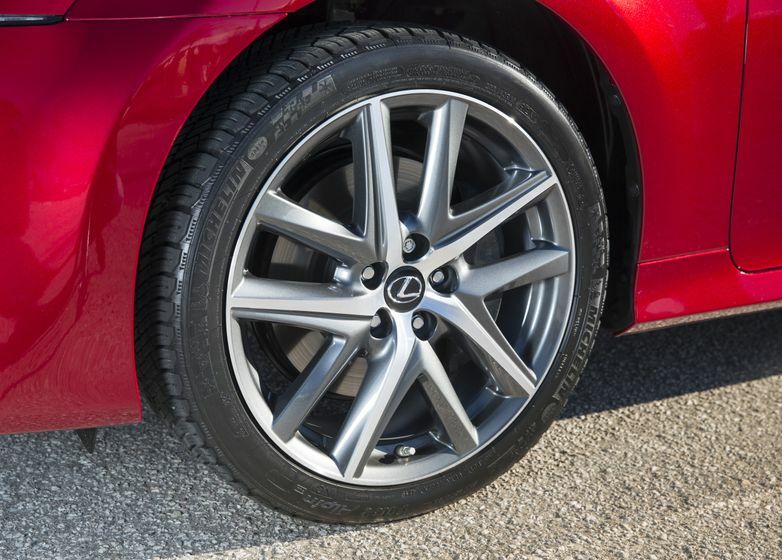 The result is a lightweight system that delivers high levels of stability and drivability. 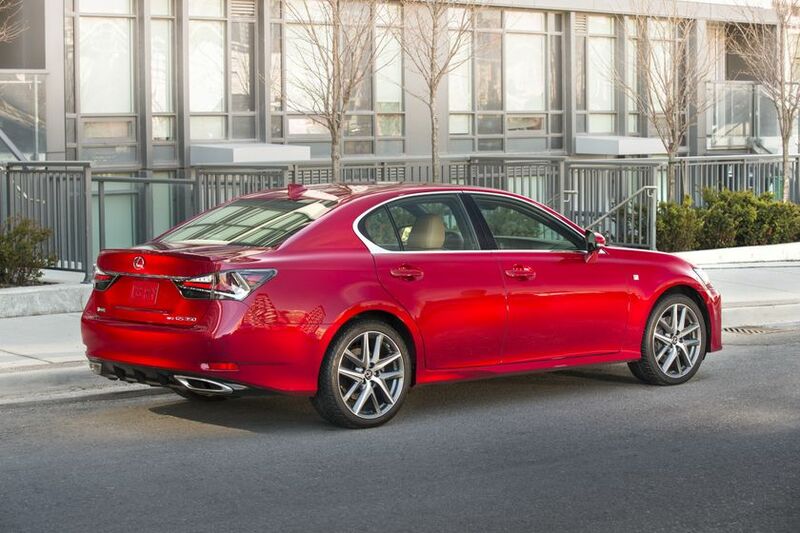 The GS 450h is a performance-driven vehicle without the corresponding carbon footprint. 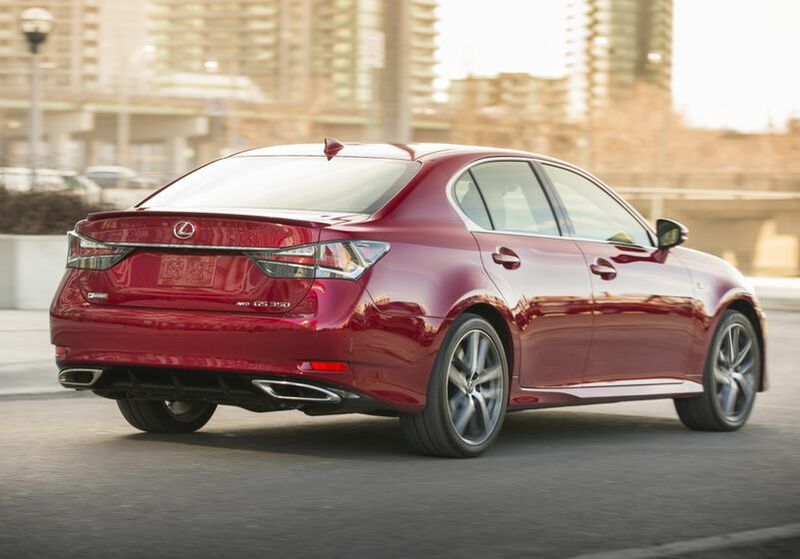 Built with the pioneering Lexus Hybrid Drive, the GS 450h features a highly responsive yet remarkably efficient 286 peak horsepower 3.5L V6, high-torque electric motors, a continuously variable transmission, power storage battery and sophisticated power management system. The result is 338 net system horsepower for 0-100km/h acceleration in just 5.6 seconds, plus class-leading fuel efficiency. Not every journey is the same, and the GS comes prepared – thanks to a three-setting Drive Mode Select system. This allows the driver to choose from Normal, Sport or ECO modes, adjusting vehicle performance and efficiency to match the mood. The GS 450h may also operated in EV mode for short distances. 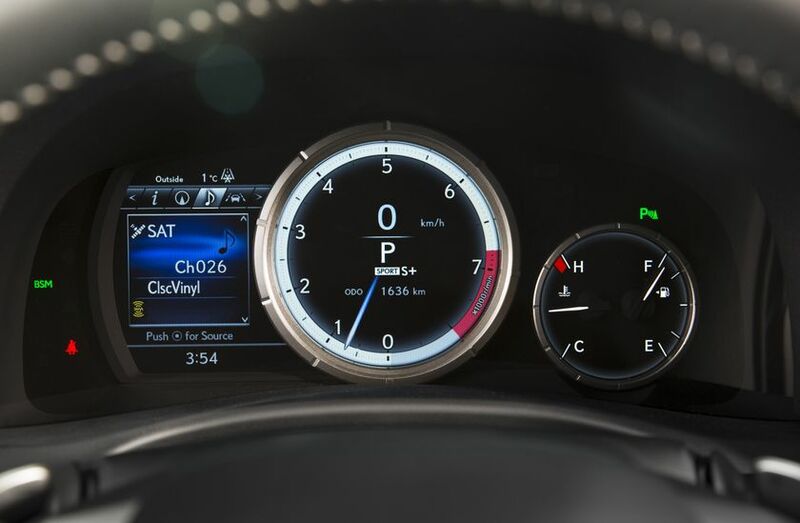 Models equipped with the available F SPORT Series 2 package also feature S+ mode, which tightens the suspension and increases steering wheel response for sharper acceleration and a more visceral driving experience. 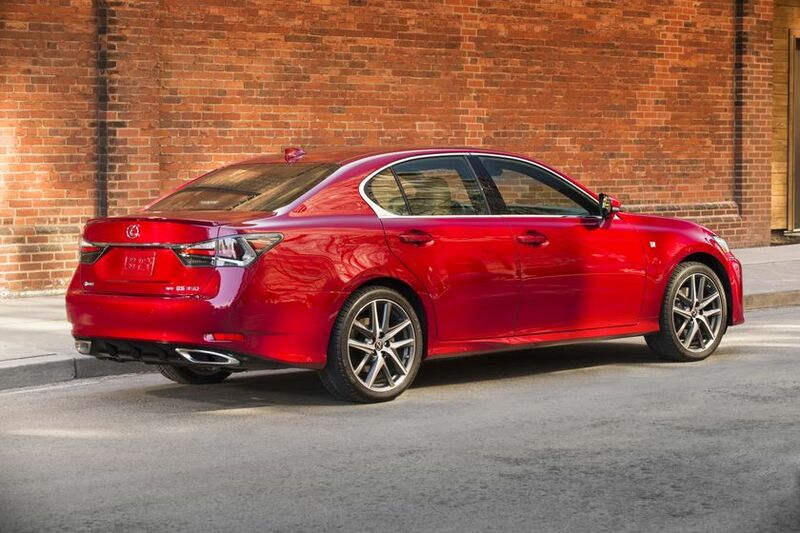 Safety is paramount, and every 2018 GS series sedan includes an impressive complement of standard safety features. 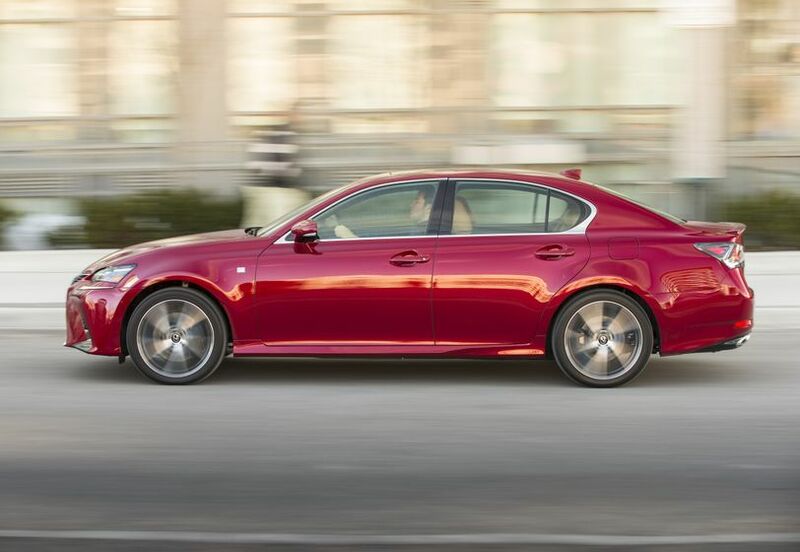 The Lexus Safety System + offers a host of class-leading advanced safety features, including the pre-collision system with pedestrian detection function, dynamic radar cruise control, lane departure alert with steering assist function, and automatic high beams. Other standard safety features include the Blind Spot Monitor and Rear Cross Traffic Alert systems, clearance and backup sensors, a backup camera, LED high-mount stop lamp, 10 airbags, vehicle stability control, a tire pressure monitoring system with auto location, an on-board first aid kit, a front windshield de-icing system, and more. 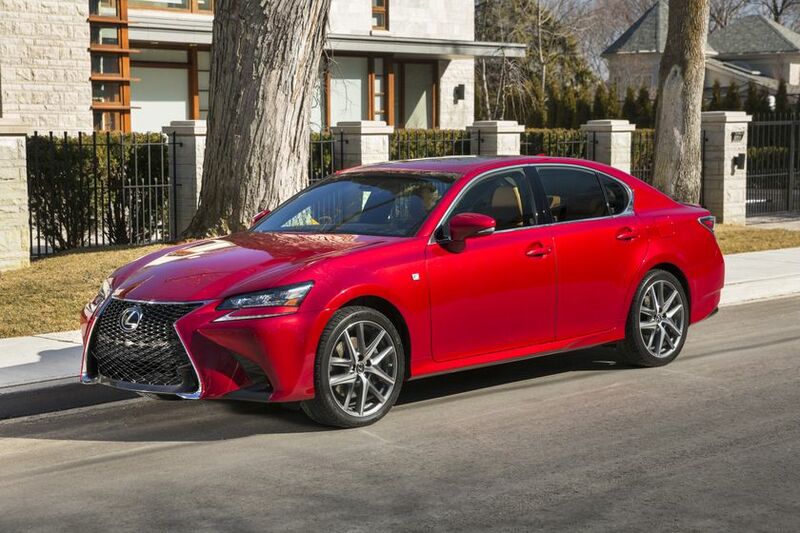 The 2018 Lexus GS 350 AWD with Executive Package (Starting MSRP: $70,050) adds a wood grain and leather-wrapped steering wheel, front and rear Adaptive Variable Suspension systems, 19” alloy wheels, the climate concierge system and rear seat climate controls, a 17-speaker Mark Levinson Premium Audio system, heated rear seats, premium leather seating, 18-way power adjustable front seats with butterfly headrests, a front passenger seat memory system, a head-up display, premium LED headlamps, power folding mirrors, power rear window sunshade, and more. 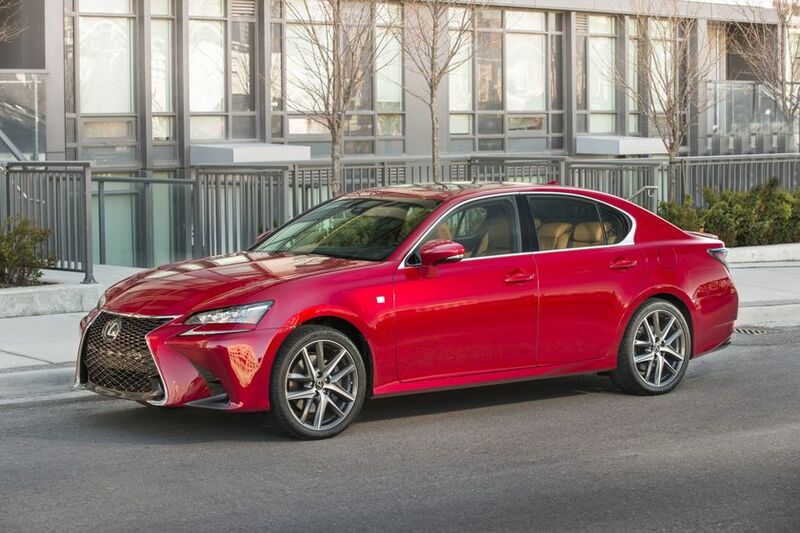 The 2018 Lexus GS 350 AWD F SPORT Series 2 (Starting MSRP: $69,400) adds several unique F SPORT items, including 19” alloy wheels, 3-spoke steering wheel, leather seating, front grille, rear spoiler, shift knob, and scuff plates. 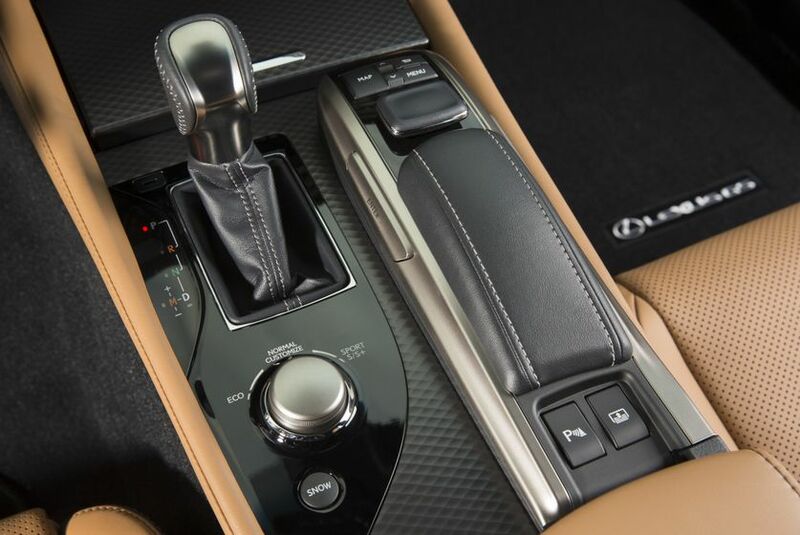 This model also features a head-up display, front and rear Adaptive Variable Suspension systems, a 17-speaker Mark Levinson Premium Audio system, 16-way power adjustable driver’s seat, air conditioned front seats, power rear window sunshade, aluminum sport pedals with rubber inserts, aluminum dash accents, premium LED headlamps, and more. 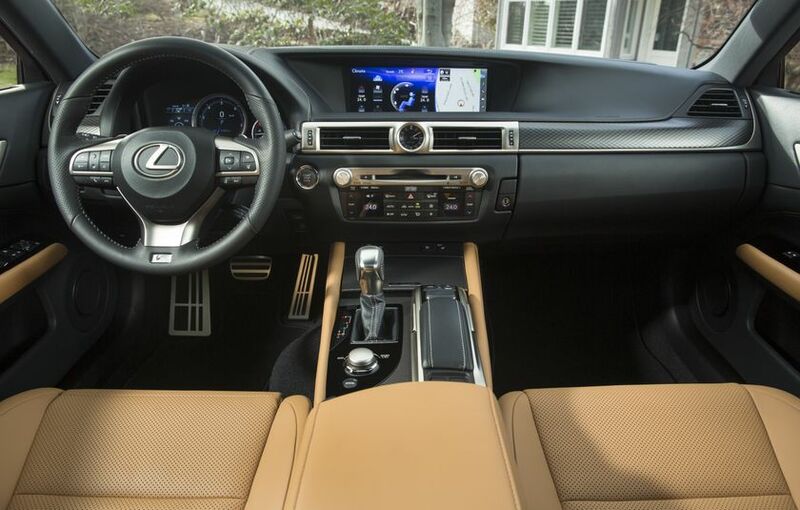 The 2018 Lexus GS 450h (Starting MSRP: $77,000) features a 12.3” Liquid Crystal Display, a 17-speaker Mark Levinson Premium Audio system with Bluetooth® connectivity, integrated Sirius XM Satellite Radio and steering wheel-mounted controls, dual zone automatic climate control, premium leather seating, heated and ventilated front seats with butterfly headrests, 18-way power adjustable front seats, driver and front passenger seat memory systems, a head-up display, heated rear seats, woodgrain and leather-wrapped heated steering wheel with paddle shifters, a leather-wrapped shift knob, a multi-information display, a navigation system with the Lexus Remote Touch interface, electrochromatic rear view mirror, power windows with automatic up/down for all windows, aluminum scuff plates, LED illumination system and map lamps, premium illuminated entry system, integrated garage door opener, cruise control, 12 volt accessory power outlet, 120 volt/400 watt power outlet, anti-theft system, LED rear seat reading lamps, unique 18” alloy wheels, power assisted trunk, rain sensing wipers, power moon roof, headlamp washers, LED clearance lamps, hybrid blue accented emblems, and more. The 2018 Lexus GS series is now on sale at Lexus Dealers across Canada. For complete and up to date details and specifications, visit www.lexus.ca/gs.